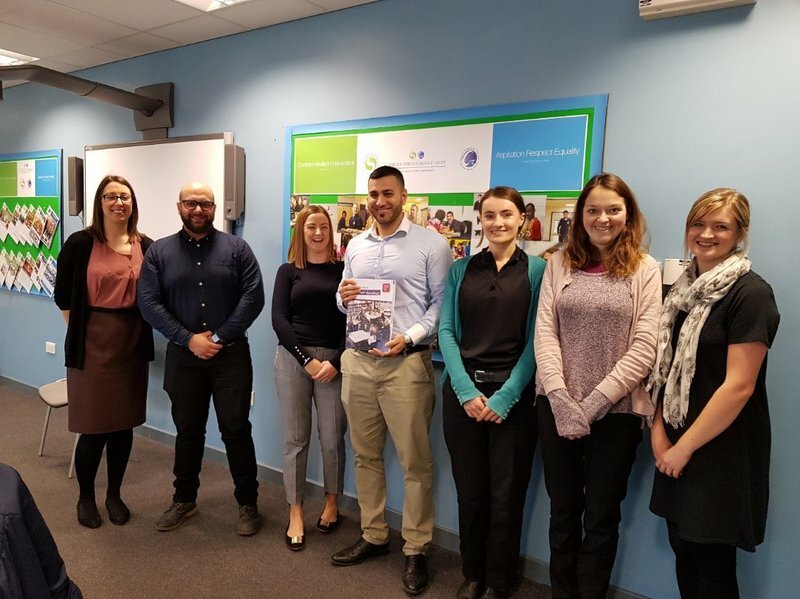 Grange Technology College, a secondary school in Bradford, have taken part in our Words for Work programme three years in a row, running the programme for a third time in January 2018. Words for Work helps students to adapt their communication skills to suit the workplace, boosting their future employment prospects. The students at Grange Technology College worked hard throughout the range of communication activities and gained a huge amount of confidence. The students were working with four volunteers from a range of local organisations, who found the programme useful for their professional development, as well as useful for the students. One volunteer, Naheem Shah from Safeway Rider som LTD, commented that “helping the students understand the importance of communication through this program has also made us refresh our skills in the workplace”. If you’re a school or volunteer who wants to take part in Words for Work, please get in touch! Email us on wfw@literacytrust.org.uk. Could you support students to improve their workplace communication skills? Apply to be a Words for Work volunteer today. We use the excitement and passion surrounding sport to motivate and inspire young people to improve their literacy skills. We have a series of programmes and resources which encourage children and young people to write for pleasure.